Each year we conduct trials and research on various fruits and vegetables. After data and seasonal evaluations are completed we donate our produce to local food banks. This year we gave our produce to two local pantries Middleton Outreach Ministry and the Lussier Center-Food from Friends program. 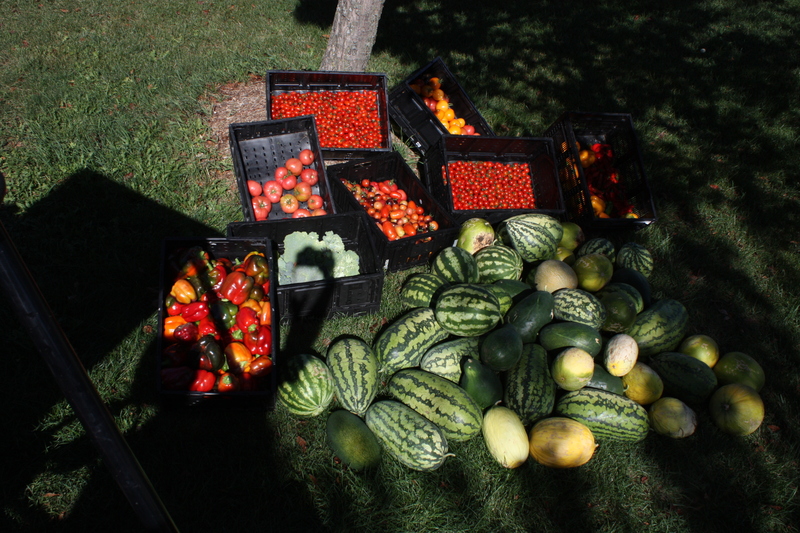 In total we gave over 3000lbs of produce over a 5 week period. We are proud to work with volunteers and the organizations to provide the community with healthy food. This entry was posted in Fruit, garden update, Outreach, Vegetables and tagged 2012, Dane County, donations, fall harvest of vegetables, Food banks, fruit, fruit and vegetable preservation, garden produce, gardens, harvest, Lussier center, madison, Middleton Outreach Ministry, Second Harvest, University Display Gardens, vegetable harvest, vegetable trials, vegetables, wisconsin by bemerson. Bookmark the permalink. Excellent! I’m so happy the food is not going to waste.